Visual Pond: ArtSpeak: Doko kara kimashita ka? Clarissa Chikiamco, the curator of End Frame Video Art Project 3: Present, will be giving a talk at the Ateneo Art Gallery on her experience in Japan, including her research on the video art collection at the Fukuoka Asian Art Museum. 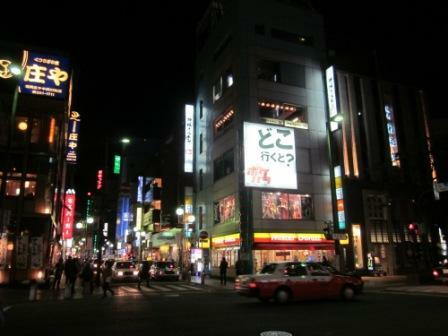 Independent curator Clarissa Chikiamco spent 6 weeks in Japan, from 7 February – 20 March 2011, as the researcher in residence at the Fukuoka Asian Art Museum. In this informal talk, Chikiamco will share about her experience—from research on video art in the FAAM collection to learning Japanese language and culture in her first ever visit to the country. The question, “Doko kara kimashita ka?” (“Where are you from?” or "Where do you come from? "), serves as a parallel to her experience—from the question she was often asked and the question she herself was asking in her research. After this casual sharing, green tea and Japanese snacks will be served. For inquiries, call the Ateneo Art Gallery at (632) 426.6488.